When you are elderly or incapacitated some of those everyday chores and tasks around the home can get a bit too much for you. You want to continue living independently but find the housework exhausting. Let's face it we could all do with a little help around the home every now and then, but as we get older, help is even more welcome. Why not let us take some of the strain and tackle these jobs for you, so that you can stay independent in your own home, enjoy life, and not have to worry about doing housework and all that boring stuff. We can help you keep your precious home in Aylesbury in tip top shape by doing all those jobs you hate or just cannot do anymore, for instance: general cleaning, vacuuming, dusting, mopping, cleaning internal windows, changing your bedding, laundry, ironing, oven cleaning, polishing and even light gardening duties (mowing the lawn, weeding, tidying). We could also help you with cooking, shopping, picking up prescriptions, paying bills, walking the dog, returning books to the library, reading a book/newspaper or maybe just having a chat and a cup of tea. You might also need help with other tasks such as clearing your loft, tidying up your garden shed, clearing a spare room or de-cluttering your garage. If you live in the Aylesbury or the surrounding areas, and need a bit of help around the home call Gill on 01296 582456 and have a chat about your requirements and how we might be able to help you. Areas covered by our home help service include: Aylesbury, Bierton, Bedgrove, Haddenham, Fairford Leys, Wendover, Southcourt, Stone, Aston Clinton, Hawkslade, Weston Turville, Walton Court, Stoke Mandeville. 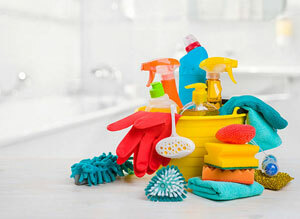 Domestic cleaning services Aylesbury area.